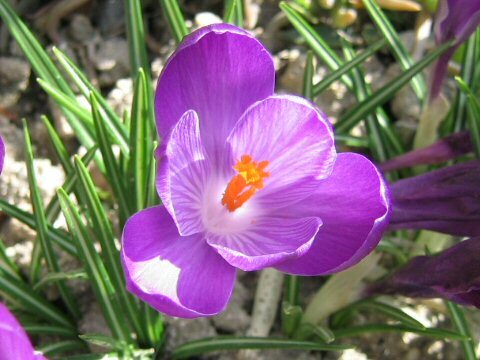 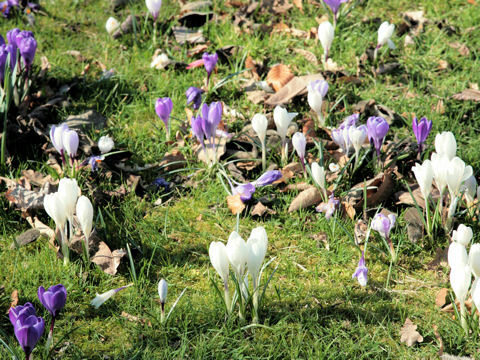 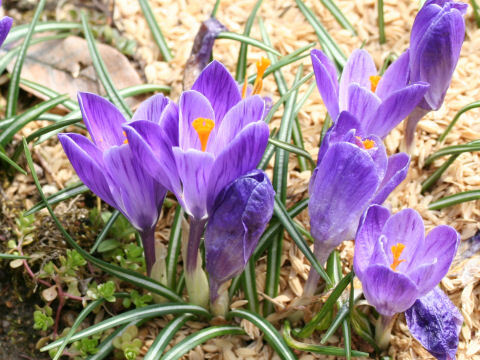 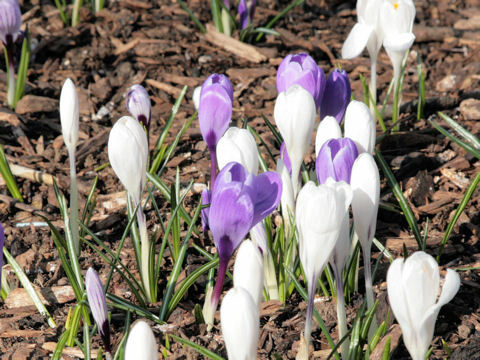 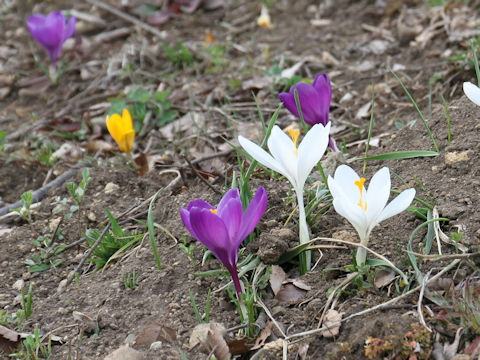 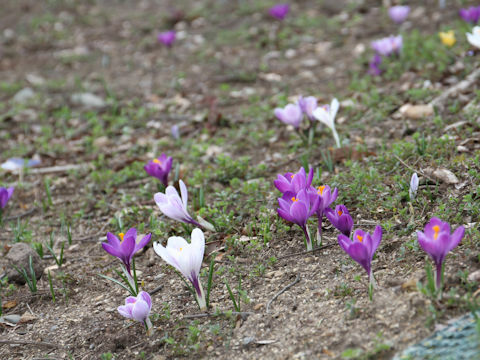 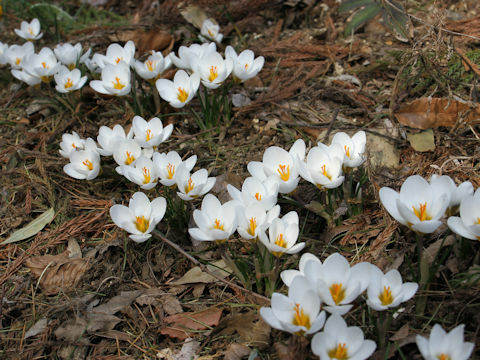 Crocus genus belongs to the Iridaceae (the Iris family). 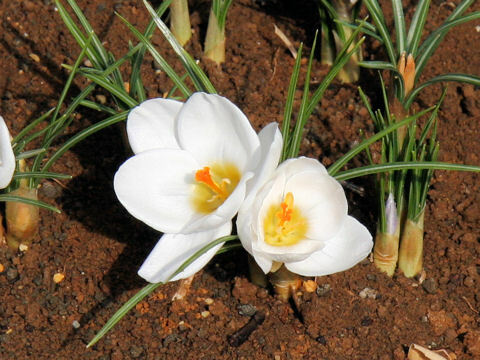 This genus is a perennial herb that is native to the coastal area of the Mediterranean Sea and Asia Minor, contains about 80 species. 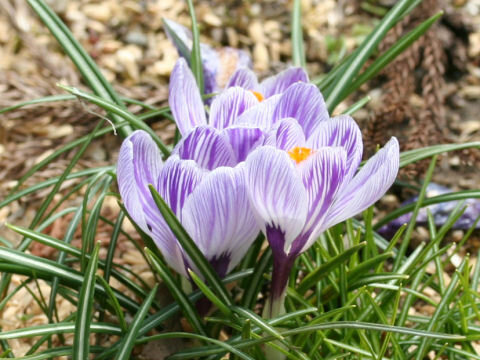 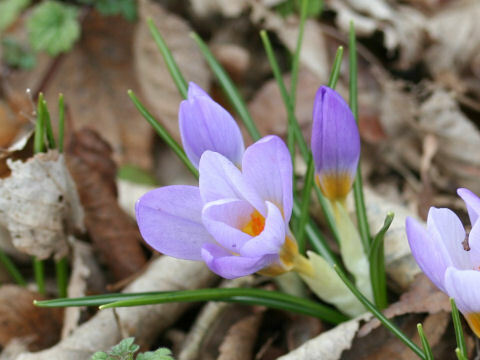 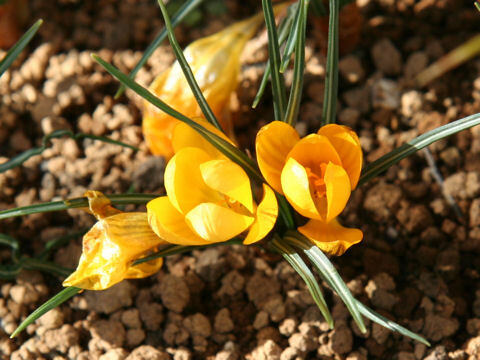 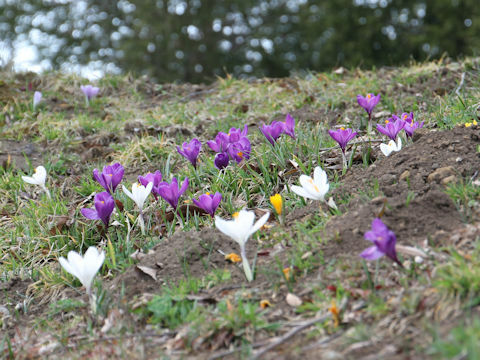 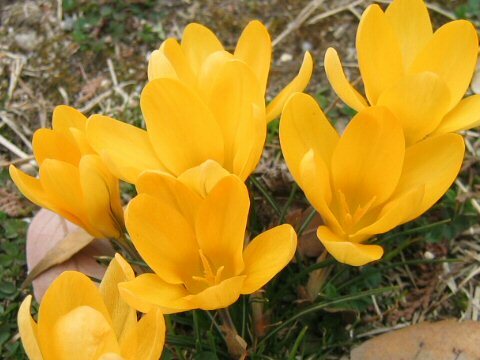 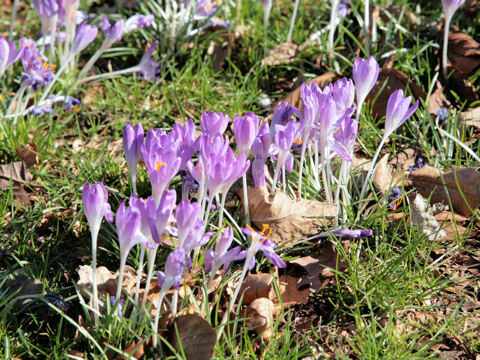 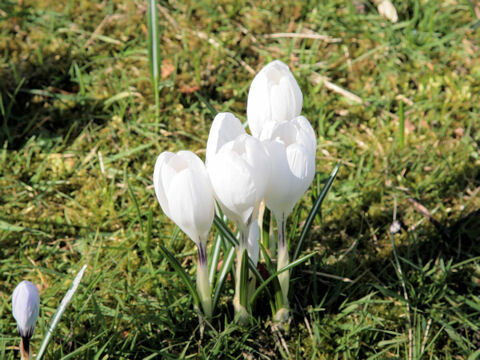 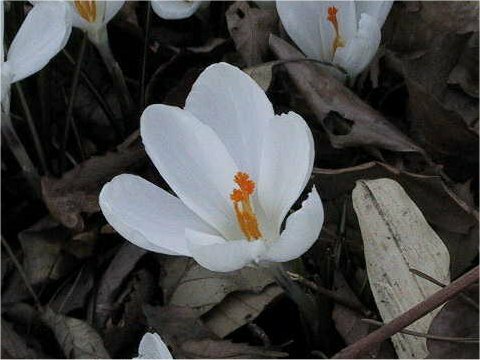 Dutch crocus (Crocus neapolitanus) and its related species are usually called "Crocus". 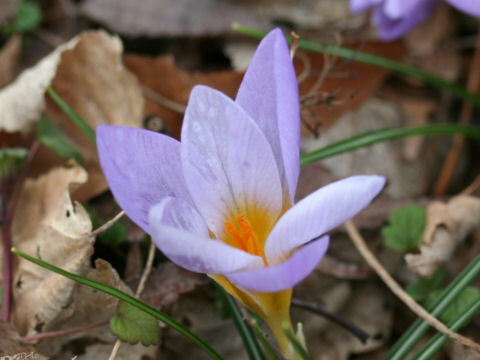 There are assorted flower colors, such as purple, blue, yellow or white.